DESCRIPTION: Political animals was a six-week long mini-series that starred sigourney weaver. 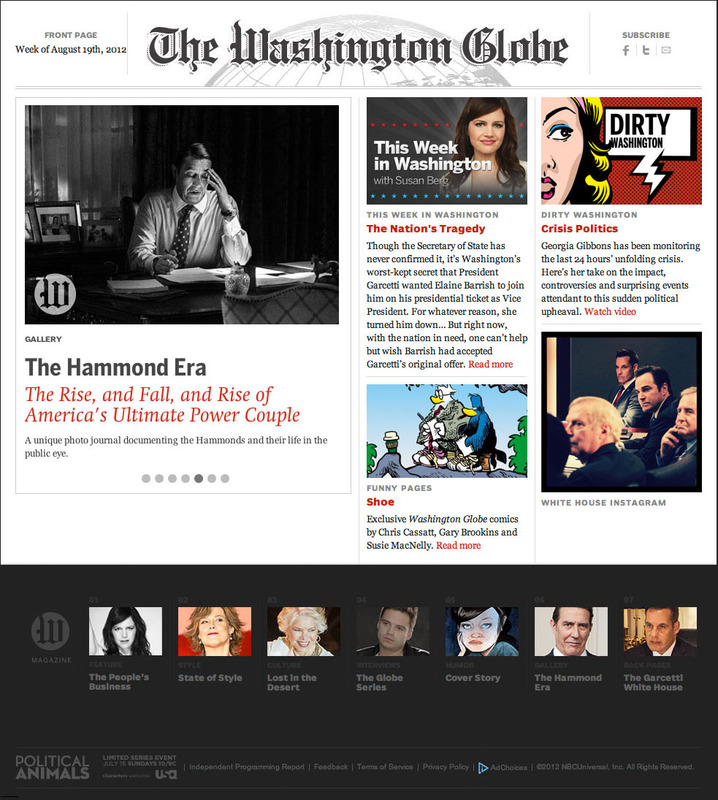 THE WORLD OF POLITICAL ANIMALS was continually reported ON IN-DEPTH via an ONLINE NEWSPAPER called THE WASHINGTON GLOBE. THIS PROJECT'S STORYLINE RAN IN PARALLEL WITH THE NETWORK SHOW. 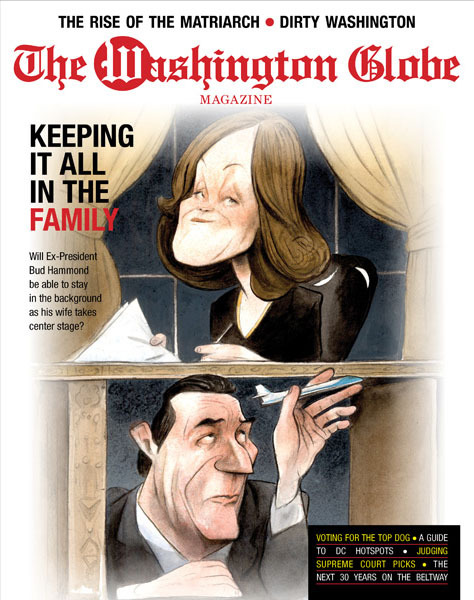 ENTERTAINING FANS WITH DAILY SOCIAL UPDATES, WEEKLY VIDEO BLOGS, character INTERVIEWS, ORIGINAL COMICs FROM THE CLASSIC strip SHOE AND POLITICAL ILLUSTRATIONS BY STEVE BRODNER.